It is opened all sides with top pointed. Its set up is easy. This tent is very impressive and aesthetically fabricated. 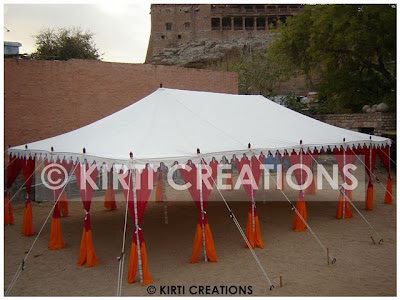 Our expertise team designs the garden Indian tent with unique and striking marquee.